In large bowl, mix all dressing ingredients until well blended. Add salad ingredients; toss to mix. Cover and refrigerate at least 2 hours but no longer than 24 hours, stirring occasionally. The sweet, nutty flavor of jicama adds a delightful crunch to this salad. Peel the skin with a potato peeler or paring knife before cutting the crisp, white flesh. 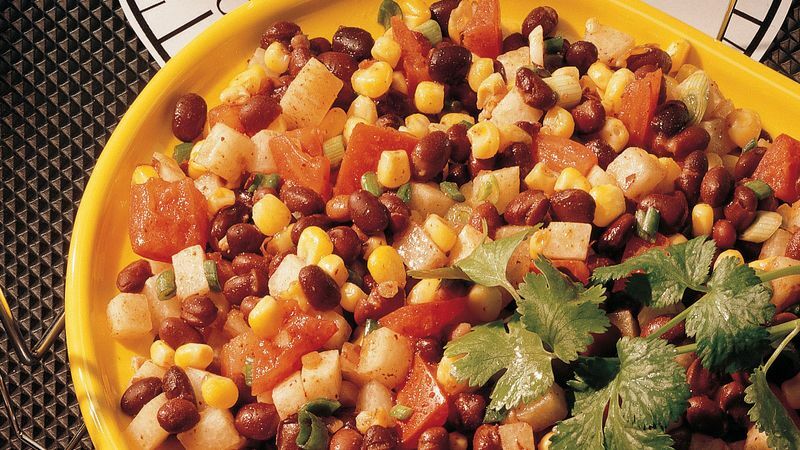 You can easily substitute the frozen corn in this recipe with canned corn. Check the serving size on the labels to make sure you purchase enough for 3 cups.